The SL-4650/4651 are upgraded versions (1 GHz) of the SL-4640A/4641A series. With asynchronous measurement, the maximum sampling rate is 1 GHz with 16 CH (8 CH with 1 GHz clock rate) and 65536 bits/ch. Optional 100 MHz (async measurement), 48 CH or 40 MHz (sync measurement), 96 CH capabilities can be added, allowing 8-bit to 32-bit µP disassemble support and 4-time axis display. Superior performance and expandability plus digital storage scope functions such as max. 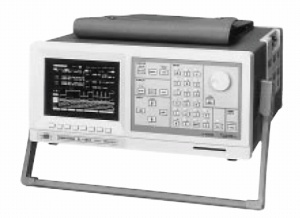 200 MS/s, 2 CH make these multi-purpose analyzers ideal for professional use.